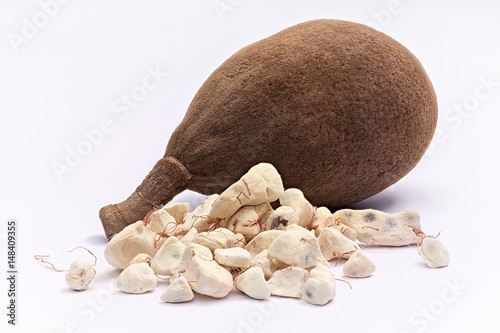 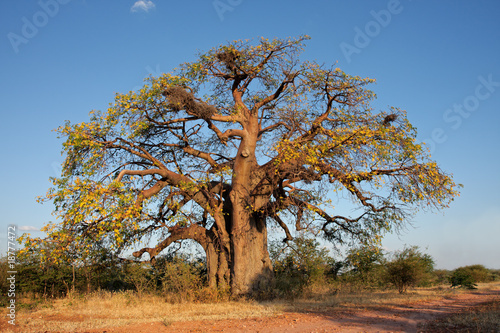 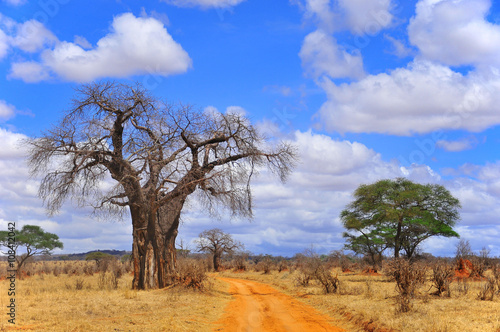 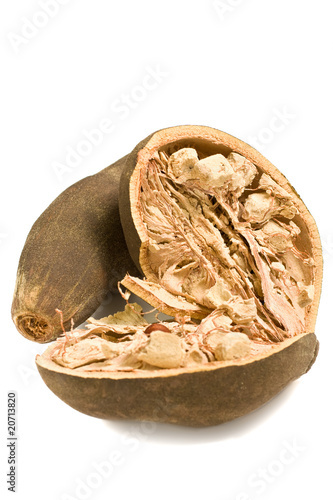 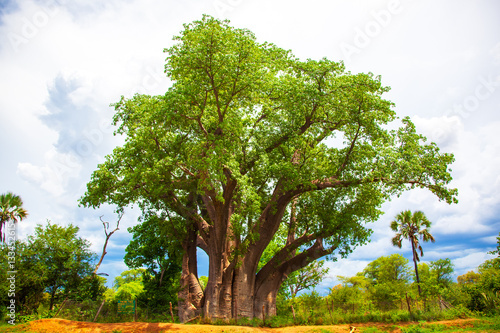 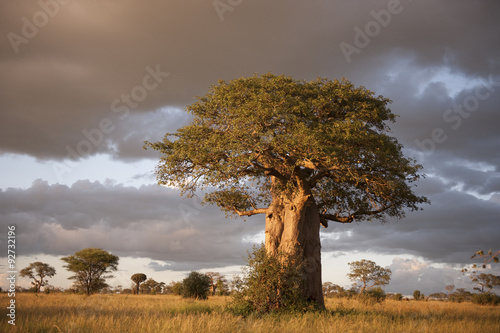 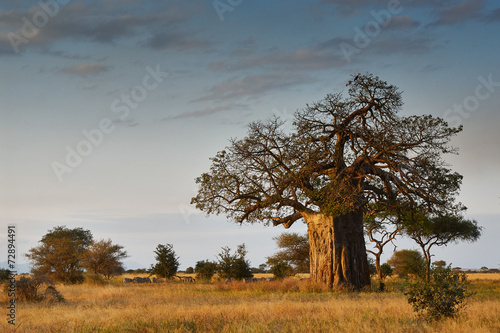 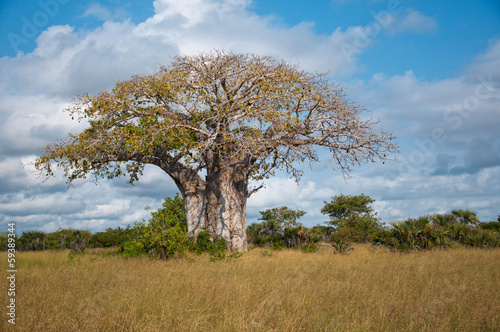 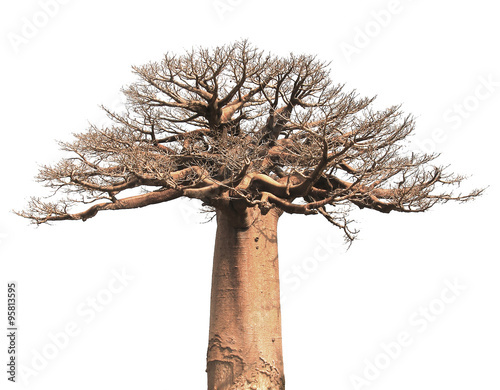 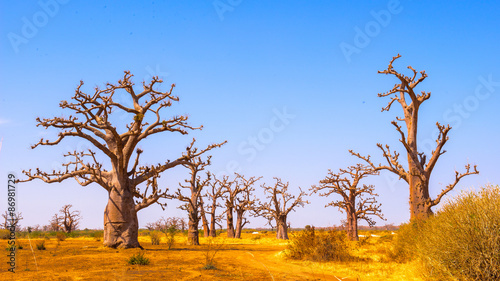 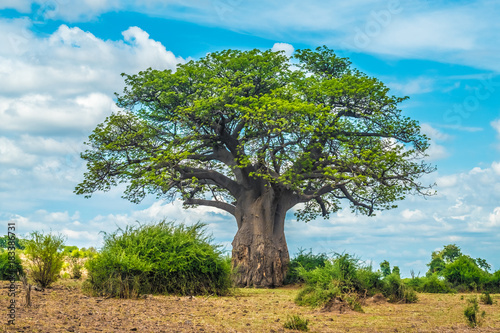 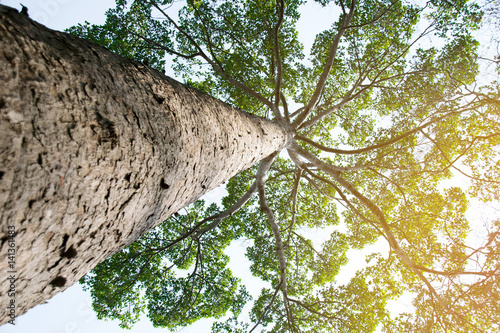 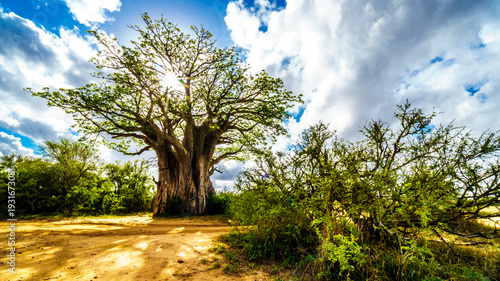 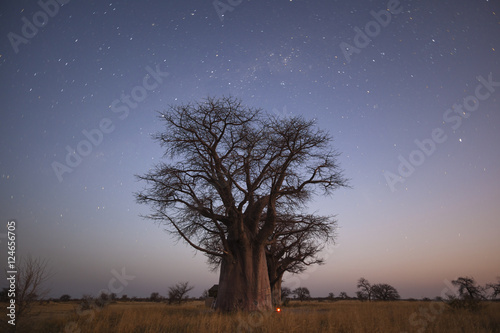 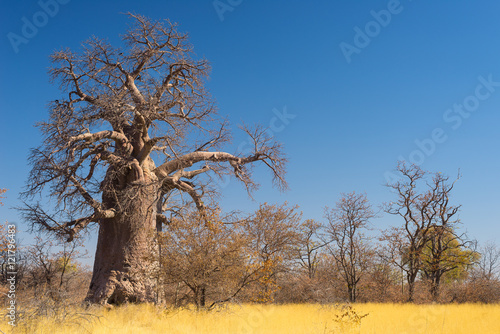 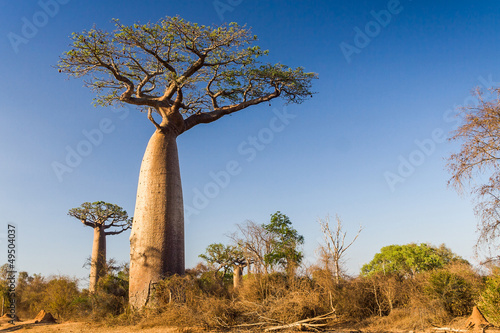 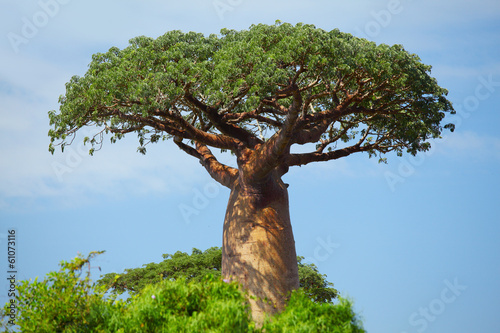 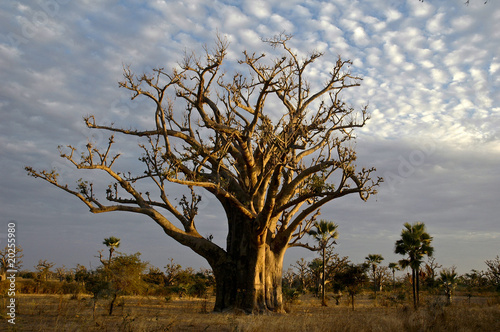 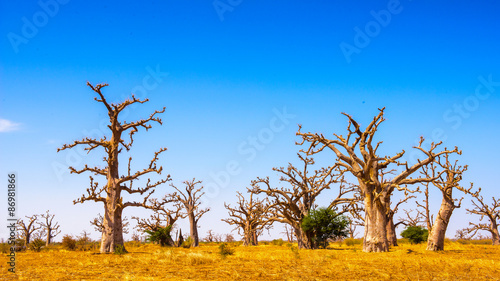 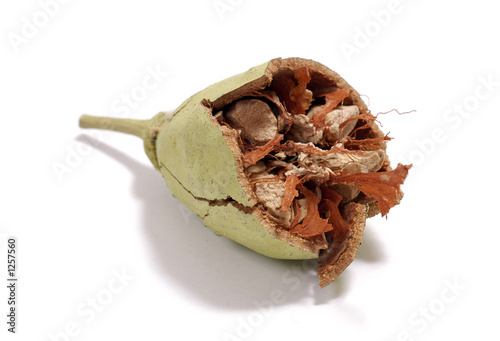 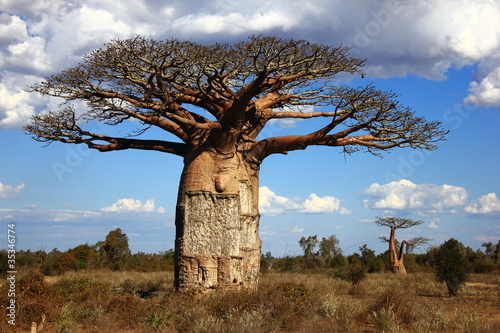 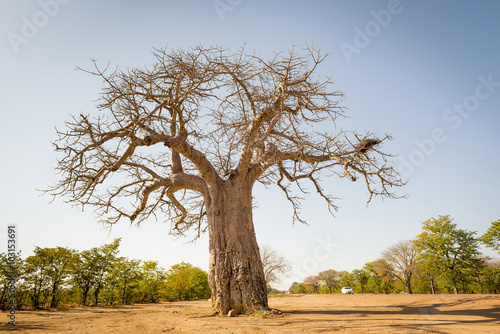 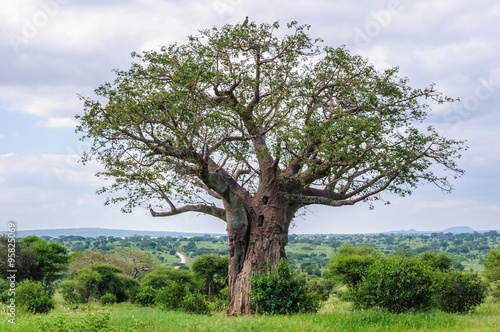 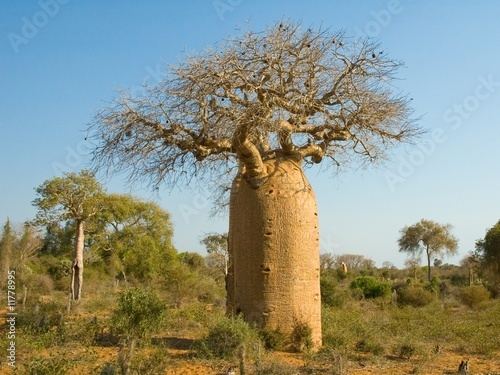 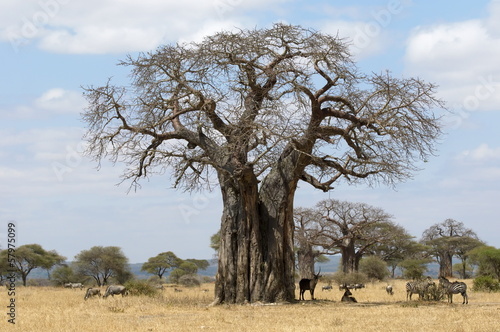 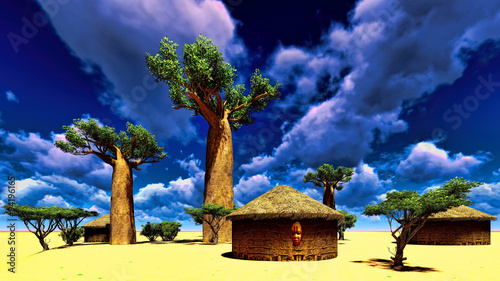 Huge Baobab plant in the african savannah with clear blue sky. 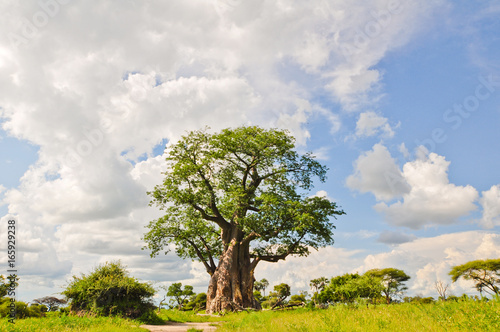 Botswana, one of the most attractive travel destionation in Africa. 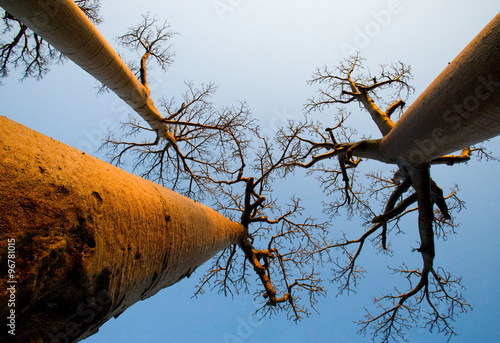 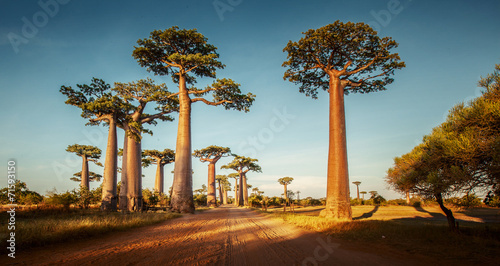 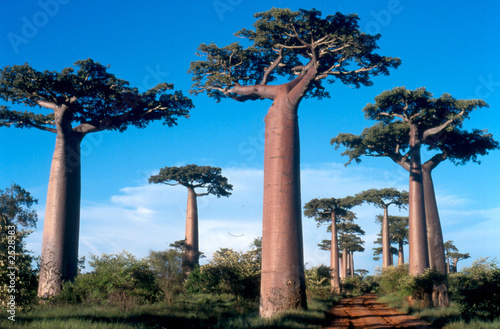 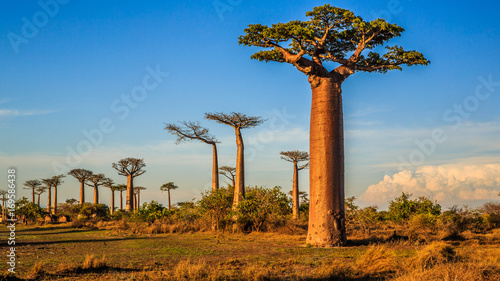 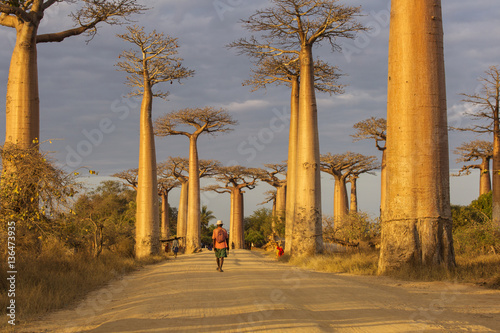 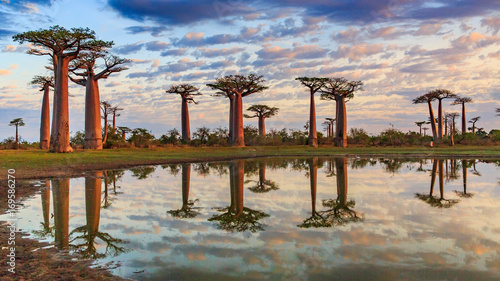 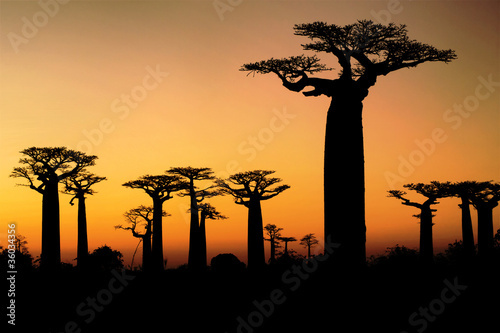 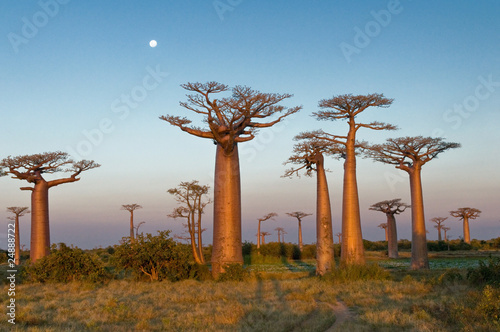 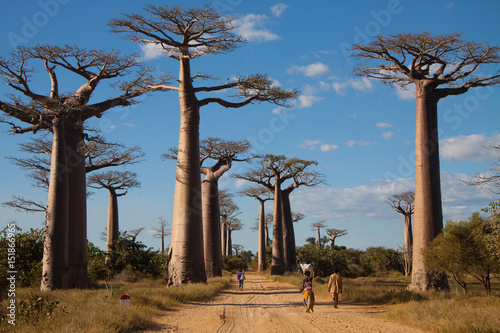 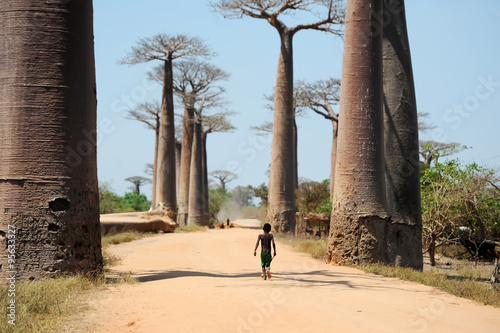 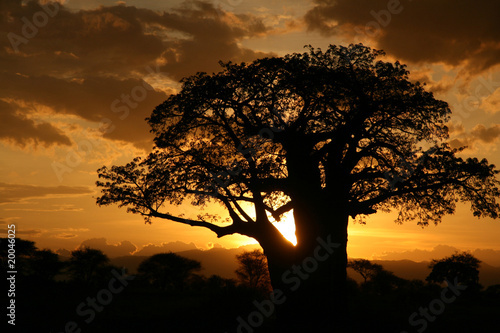 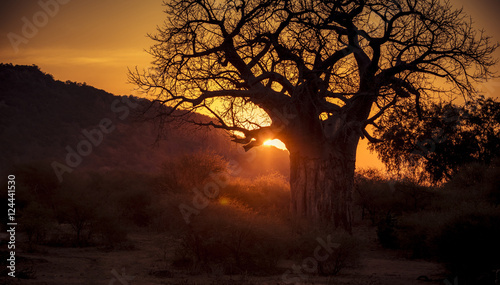 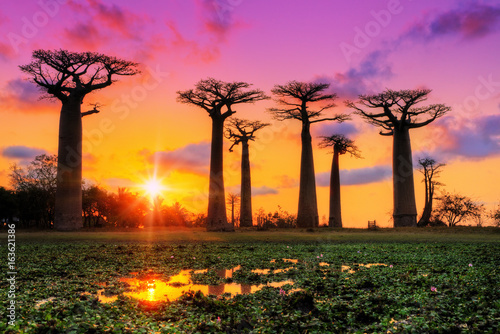 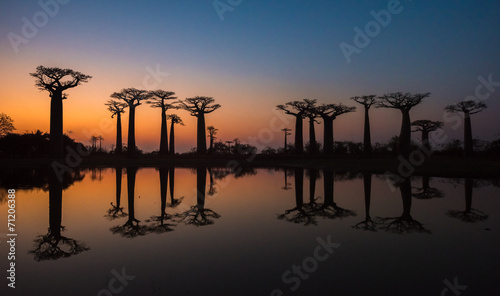 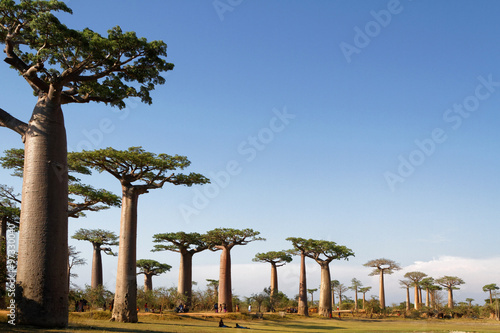 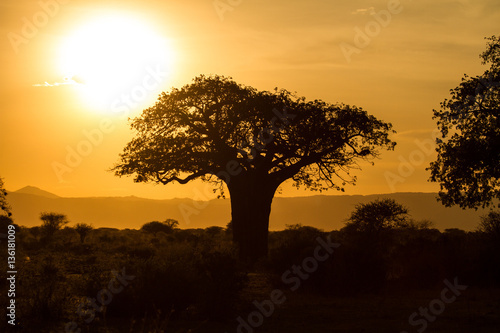 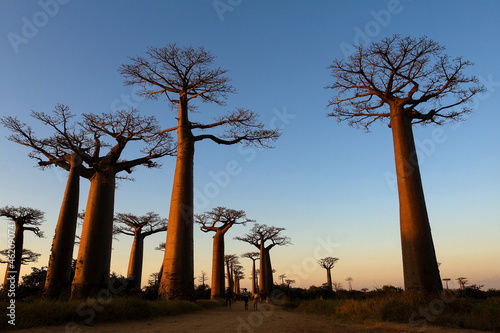 Sunset over Alley of the baobabs, Madagascar.